Home / News / Can people develop through feedback? Can people develop through feedback? 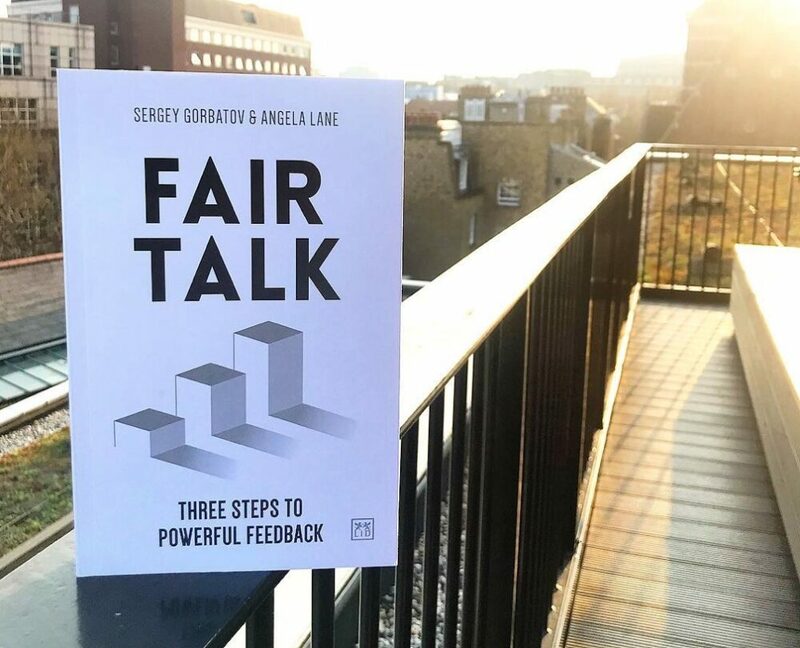 Fair Talk: Three Steps To Powerful Feedback by Sergey Gorbatov and Anglea Lane is a practical methodology that equips leaders with the ability to accurately assess barriers to performance and provides a simple three-step model for giving fair, focused and credible feedback. Readers will also learn how to build a culture of feedback in their teams by applying insightful diagnostic tools and straightforward, proven solutions from their own experiences and other experts in the Industry. Today we learn from Dr Tomas Chamorro-Premuzic, Chief Talent Scientist at Manpower on whether people can develop. Tomas is an international authority on psychological profiling, talent management and people analytics. he is the chief talent scientist at ManpowerGroup, professor of business psychology at University College London and visiting professor at Columbia University. Absolutely. We are never the same. Each morning we wake up with new connections (and old connections have gone) in our memory and brain. The bad news is we are not necessarily in control of the change. After a certain age, changes are hard to make and small. And we often change for worse, rather than better. For example, you can expect more change as it relates to expertise or knowledge than you can turn people into a better version of themselves. Finally, a great deal of change can be predicted from an early age. This suggests the ability to change is fundamentally a part of people’s potential: for instance, people who are curious and humble will develop into better leaders and visa-versa. How hard is it to develop, and why? We are creatures of habit. Habits don’t just take time to form – they take a long time to break and replace. As we get older, our desire to minimize behavioural choices and decision making drive us to become a product of our own ‘default setting’ – the automatic, instinctual, autopilot way of living life. To make matters worse, success reinforces our habits. The older and more successful we are, the harder it is for us to change. What is the role of feedback in the development process? It is instrumental. Without feedback, there is no awareness of the need to change, and particularly negative feedback can make people uncomfortable by highlighting a gap between the person they are and the person they want to be. Although this doesn’t automatically translate into effective change, change won’t happen without it. What role do our personality or values play in how easily we develop? Although personality and values are very stable, they dictate how and why people change, respectively. You can trigger change by asking people to do things that are congruent with their natural style (personality) and by motivating them around their core beliefs (values). In fact, people will experience the urge to change if you make them realize that they are going against their nature or doing something that is incompatible with their belief system. But you often need to make this very clear to them, which is where feedback matters again! How do our personality or values affect how we give feedback? They play a big role. On one end, you have people who are curious, humble, eager to learn, data-driven and self-aware. They will master the art of requesting honest and critical feedback and make the most of such valuable information. On the other extreme, you have people who are arrogant, entitled, narcissistic or defensive. They will not only shy away from getting feedback from others (particularly negative feedback) but also be immune to it when they get it. They are, in plain terms, pretty un-coachable.